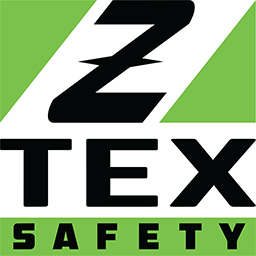 Here at Z-Tex we provide the essential training needed for your company. We are diverse as far as our experince goes and even if you dont necessarily know what you may need we have curated a list of terms below to further educate our clients as well as further explain the many services we provide across the board. Based solely on protecting your greatest asset from harm,which are the men and women that make it their goal to diligently provide youwith their labor, we stay up to date on the latest regulatory standards andproven safety management techniques. We know that you lead the charge and weprovide the technical knowledge and support you need to anticipate, identify,correct and prevent the workplace hazards. Because even with the best efforts, you may eventually havethe unfortunate task of help an employee through the recovery process from a work related injury. We stand with you to help you provide the bestReturn-To-Work program and Claim Management program. We start by helping you partner up with the Occupational Medicine Provider that works within your Workers’Compensation Health Care Network, then work within the Workers’ Compensation system to promote the quickest path to recovery. If you need a full-time safetyrepresentative as part of your project team, we are very qualified safety professionalswith strong safety leader skills that will represent your safety values. The ProjectSafety Representative will be able to partner with your project team, develop aSite Specific Safety Plan based on your scope of work, conduct effectiveinspections, JHA’s/JSA’s, Pre-task planning, safety meetings, on-site safetytrainings, maintain safety statistics, incident investigation & reportingand recordkeeping. Weather you’re just looking for a simple review and update ora full ground-up program development, we have the experience and writing skillsto develop a comprehensive Safety and Health Program. We will focus on your specificprocess and risks unique to your company to help you guide and lead youremployees to create a sound safety culture. We believe in the involvement of the employees, in order toget “buy in” for a better chance of success and ongoing improvement towardsyour safety performance goals. The programs are developed the hierarchy ofcontrol measures that include elimination, substitution, engineering,administrative, and PPE. As well as you prepare, we know that an OSHA inspection can causea feeling of insecurity and hesitation. Good news! Having an experienced consultantthat knows your rights during and after an OSHA inspection, along with OSHA’sinspection protocols and procedures will definitely make the experience a moreproductive one. We offer specific guidance based on your particular businessneeds, which will dictate retention and updating requirements on recordkeepingfor such things as medical evaluations, surveys, exposure records, permitting,injury & illness records, annual summaries, training and inspections. OSHA expectsrecordkeeping be maintained and made available for inspection by them or anemployee’s representative. As a bilingual trainers, we strive to conduct impactfultraining classes for our students. The training skills and techniques weexercise are focused on knowledge retention with training documentation showingclear objectives for the student to demonstrate skills, abilities andknowledge. The equipment operator training programs are centered aroundOSHA & MSHA requirements, ANSI guidelines, equipment manufacturer data, andbest practices. Our trainers have extensive practical experienced and welldeveloped presentation techniques. Although valuable, holding aTrain-The-Trainer certification doesn’t automatically qualify our trainers.Successful Safety & Health Trainers must have a tirelessenthusiasm to continue learning about the subject matter they present and fromthe students that they train. There’s a creative art in the techniques that agood trainer can develop in order to maximize the knowledge retention of thestudents on behalf of the clients and the student. A compelling presentationcan open minds and positively influence safe behavior, which makes training aneffort in engaging the motivating factors of each employee. Recruitment is unique through us, since we have built a strongnetwork of local talent throughout the years. Merely using online recruitingservices may not be enough to get the right person for your company on a timelyfashion. Having years of hiring experience, we know that finding the rightperson by yourself is tough. Typical recruiting agencies are painfullyunfamiliar with the safety profession and will clumsily lead you intofrustration or worse… settling for the wrong person. In today’s environment,the safety professional you’re looking for is not likely to be unemployed, infact, is probably doing a good job, but is open to a great opportunity workingfor you. We know where, when and how to find these safety professionals… we’llhelp get your “Safety Man” or “Safety Woman” on board. Because protecting employee’s health is a major concern whenworking with silica containing materials; we specialize in anticipation,recognition, evaluation, prevention, and control for exposure to respirablecrystalline silica. We are able to provide full exposure assessment on thejobsite or workplace with the most cost effective and efficient remedies tomeeting exposure regulatory compliance.Depending on the industry, the regulation can requiredifferent exposure limitations, actions and controls. Safety Audits are not quite the same as Safety Inspections. Auditsare typically performed less frequently than inspections and is the process ofchecking that compliance obligations have been met, including that the requiredinspections have been completed and the corrections made. The goal of an auditis usually to assess overall compliance with one or more regulations, internalpolicies, or other compliance drivers. Our safety audits focus on reviewing thecurrent safety program effectiveness by measuring it up to your company safetygoals. Based solely on protecting your greatest asset from harm, which are the men and women that make it their goal to diligently provide you with their labor, we stay up to date on the latest regulatory standards and proven safety management techniques. We provide the technical knowledge and support you need to anticipate, identify, correct, and prevent the workplace hazards. Even with the best efforts, you may eventually have the unfortunate task of helping an employee through the recovery process from a work related injury. We stand with you to help you provide the best Return-To-Work program and Claim Management program. We start by helping you partner up with the Occupational Medicine Provider that works within your Workers’ Compensation Health Care Network, then work within the Workers’ Compensation system to promote the quickest path to recovery. If you need a full-time safety representative as part of your project team, we are qualified safety professionals with strong safety leadership skills that will represent your safety values. The Project Safety Representative will be able to partner with your project team, develop a Site Specific Safety Plan based on your scope of work, conduct effective inspections, JHA’s/JSA’s, Pre-task planning, safety meetings, on-site safety trainings, maintain safety statistics, incident investigation, reporting, and record keeping. Whether you’re just looking for a simple review and update or a full ground-up program development, we have the experience and writing skills to develop a comprehensive Safety and Health Program. We will focus on your specific process and risks unique to your company to help you guide and lead your employees to create a sound safety culture. We believe in the involvement of the employees, in order to get a “buy in” for a better chance of success and ongoing improvement towards your safety performance goals. The programs are developed through the hierarchy of control measures that include elimination, substitution, engineering, administrative, and PPE. As well as you prepare, we know that an OSHA inspection can cause a feeling of insecurity and hesitation. Having an experienced consultant that knows your rights during and after an OSHA inspection along with OSHA’s inspection protocols and procedures will definitely make the experience a more successful one. We offer specific guidance based on your particular business needs, which will dictate retention and updating requirements on record keeping for such things as medical evaluations, surveys, exposure records, permitting, injury & illness records, annual summaries, training, and inspections. OSHA expects record keeping be maintained and made available for inspection by them or an employee’s representative. As a bilingual trainers, we strive to conduct impactful training classes for our students. The training skills and techniques we exercise are focused on knowledge retention with training documentation showing clear objectives for the student to demonstrate those skills and techniques. The equipment operator training programs are centered around OSHA & MSHA requirements, ANSI guidelines, equipment manufacturer data, and best practices. Our trainers have extensive practical experienced and well developed presentation techniques. Although valuable, holding a Train-The-Trainer certification doesn’t automatically qualify our trainers. Successful Safety & Health Trainers must have a tireless enthusiasm to continue learning about the subject matter they present and from the students that they train. There’s a creative art in the techniques that a good trainer can develop in order to maximize the knowledge retention of the students on behalf of the clients and the student. A compelling presentation can open minds and positively influence safe behavior, which makes training an effort in engaging the motivating factors of each employee. Recruitment is unique through us, since we have built a strong network of local talent throughout the years. Merely using online recruiting services may not be enough to get the right person for your company in a timely fashion. Having years of hiring experience, we know that finding the right person by yourself is tough. Typical recruiting agencies are unfamiliar with the safety profession and can lead you into settling for the wrong person. In today’s environment the safety professional you’re looking for is not likely to be unemployed, in fact, is probably doing a good job, but is open to a great opportunity working for you. We know where, when, and how to find these safety professionals… we’ll help get your “Safety Man” or “Safety Woman” on board. We call our safety inspections – safety surveys, due to the fact that the function is to check safety performance carried out at the designated job site and provide recommendations that will continue to promote the good performance or help correct any short-comings. We will always make great efforts to provide clear and factual hazard recognition with realistic, effective, and actionable recommendations. Protecting employee’s health is a major concern when working with silica containing materials; we specialize in anticipation, recognition, evaluation, prevention, and control for exposure to respirable crystalline silica. We are able to provide full exposure assessment on the job site or workplace with the most cost effective and efficient remedies to meeting exposure regulatory compliance. Depending on the industry, the regulation can require different exposure limitations, actions, and controls. Safety Audits are not quite the same as Safety Inspections. Audits are typically performed less frequently than inspections and is the process of checking that compliance obligations have been met, including that the required inspections have been completed and the corrections made. The goal of an audit is usually to assess overall compliance with one or more regulations, internal policies, or other compliance drivers. Our safety audits focus on reviewing the current safety program effectiveness by measuring it up to your company's safety goals.